3 Sweet Tips to Set up Your Classroom & Start the School Year for New Teachers or Somewhat New Teachers Part ONE with More to COME! 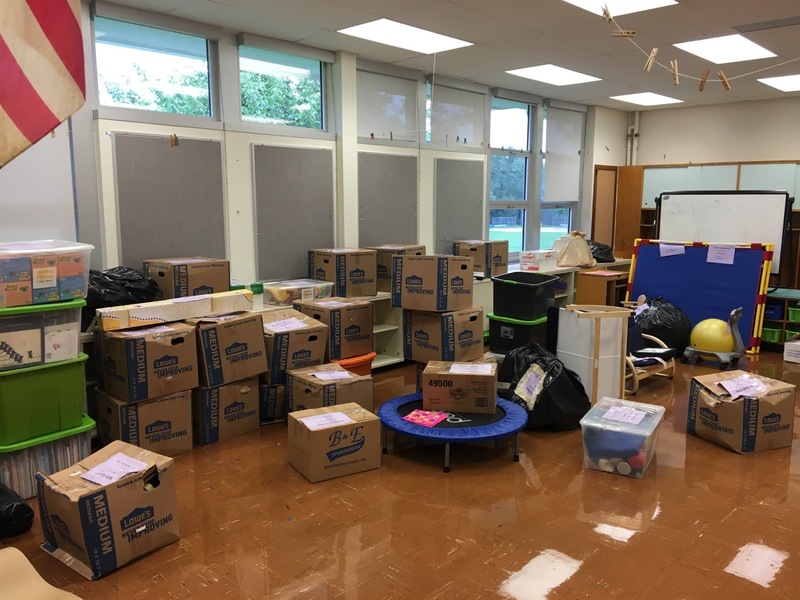 With summer almost completed and school days over just over the horizon, many teachers like YOU need to start thinking about the start of school. However if you are a teacher you have been thinking about this all summer! You have been perusing the aisles of Dollar Stores, =checking out the dollar section of Target, shopping the novelty shops along the shore or boardwalk...if you live in the PA area, you have definitely hit the boardwalk for some great end of summer deals and you have notes and lists galore about ideas that you want to try next year and of what you need to do or want to do...yep...you ARE a teacher and with teaching comes all these great creative ideas that you sometimes to even have time to get to once school starts so summer is that kind of time..vacay YES, always thinking of school...YES....trying not think about school...YES! But guess what? You know the answer...you can't help your self...you are always thinking of what is best for your students!!! There you have it! The summer of a teacher!!! Just a side note, before we start...my daughter moved to a new school in her district this year and this is what her classroom looked like a two weeks ago: This will definitely make you feel better!! First I am hoping that your classroom doesn't look like this!!! But I have gotta tell you , there is something positive about this...you know I always find something positive in EVERY situation and actually there are quite a few positives.... 1.Did you notice that the floors are sparkling and shiny...that means we can set up!! Admit it...they DO look magnificent!!! 2. Everything from the old school made it the few miles from the "old" to the "new" school without loosing a thing...I should mention as far as we know right NOW! 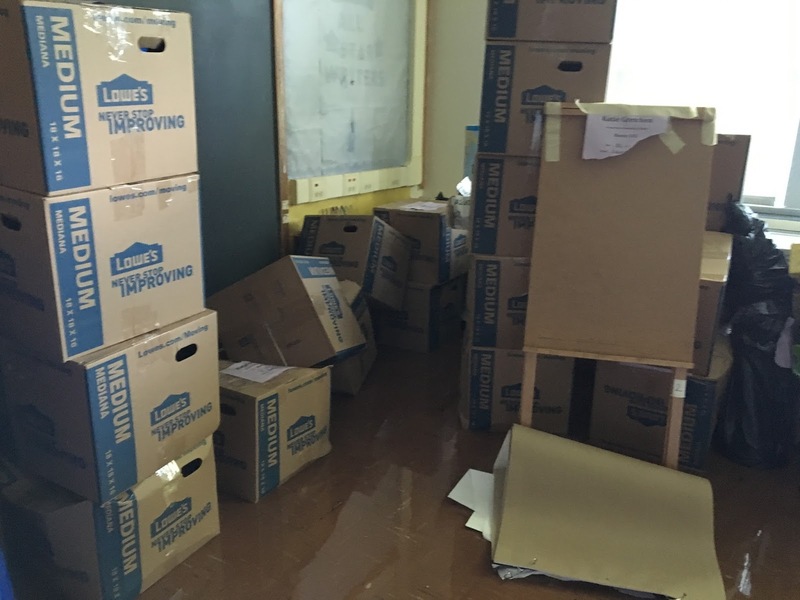 Well...a few damaged boxes...but there are over 100 boxes! 1. So...back to the tips...I know you have tons of lists of ideas that you want to do or implement for the new school year. Look through these lists and circle the ideas that HAVE to be completed before the first day of school and can be completed at home while watching your favorite TV show or the Summer Olympics. In other words ideas that do not have to be completed in your classroom. Ideas like: Creating and printing labels for supplies that are a mess and need to be replaced. Once you know what you need, create them or if you don't have the time or patience to create...purchase the organization materials on TpT! You can, perhaps, run everything off at school and laminate, then save the cutting for the TV. 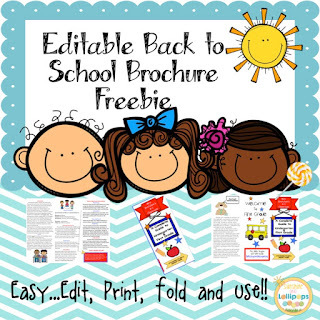 Also think about and get your Back to School letters, newsletters, brochures ready from home and then all you need to do is run them of as you need them. 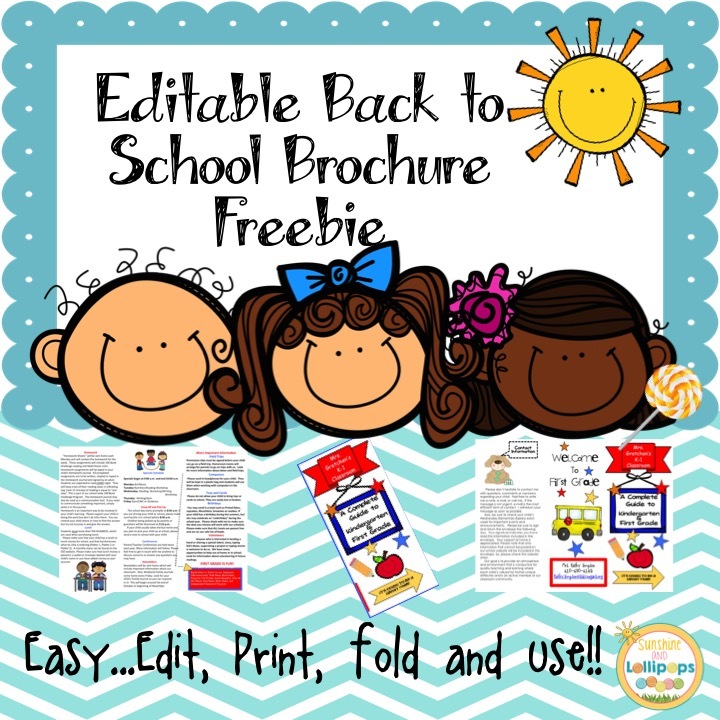 Here is a free editable Back to school brochure that I have created and used. Just change what you need and voila! You are done! It saves paper, is a brochure size and can be hung or tacked just about anywhere!! September Back to School Brochure In summary complete those ideas that can be done from home while you are watching TV. 2. 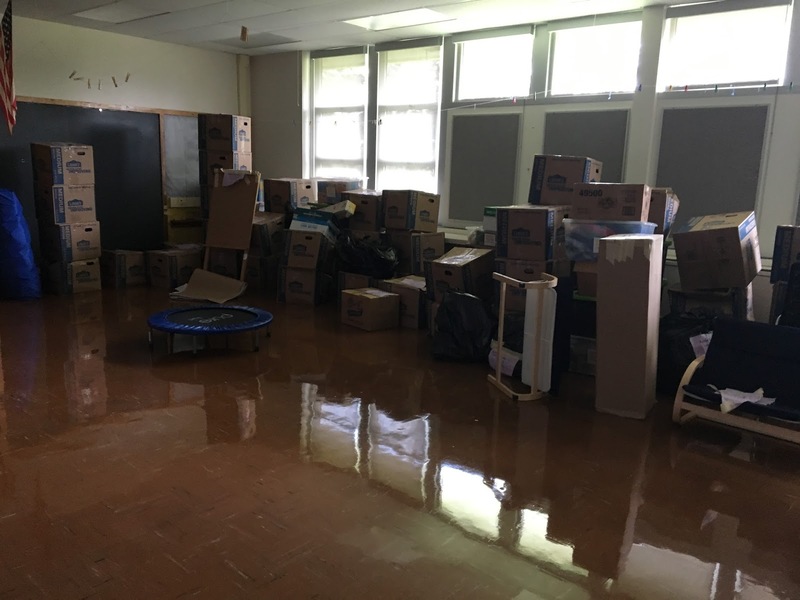 Go into your classroom and think about where you would like everything to be placed. If you are like me, I always seem to change things around a bit because of new ideas. I always place my Guided reading table in a spot where I can see the entire classroom so when Daily 5, stations, Centers or whatever you plan to do this year is running, you can see the children working and moving around to their stations or locations. 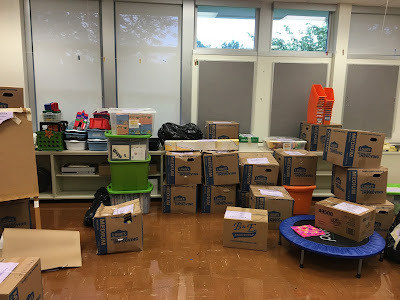 When the time comes, set these up or place sticky notes where you plan to place shelves, classroom library, Tables or desks, rugs, various games, supplies, Guided reading Books, Math maniplulatives and anything else you might want. In thinking about this put sticky notes on the bulletin boards with the ideas you have for each. This way if you change your mind...just switch the sticky notes. Well in my daughter's case...we placed the boxes where she wanted them to go and some sticky notes, too!! Think about the BIG TICKET ITEMS that need to be placed or figured out before you start to think about the rest! Admit it...it IS looking a little better!! 3. Now the next step is to NOT get overwhelmed...Everything will fall into place. The important thing is to remember to make your classroom look like it is organized and ready to go when school starts. Every Bulletin Board does not have to be decorated...every shelf does not have to be perfect, but everything should start out where you think you want things to be...Remember if you want your kiddos to take ownership of your classroom, then you want them to contribute to the decorations of your classroom. So think of what your students can do after school starts to add to building your classroom culture/community! 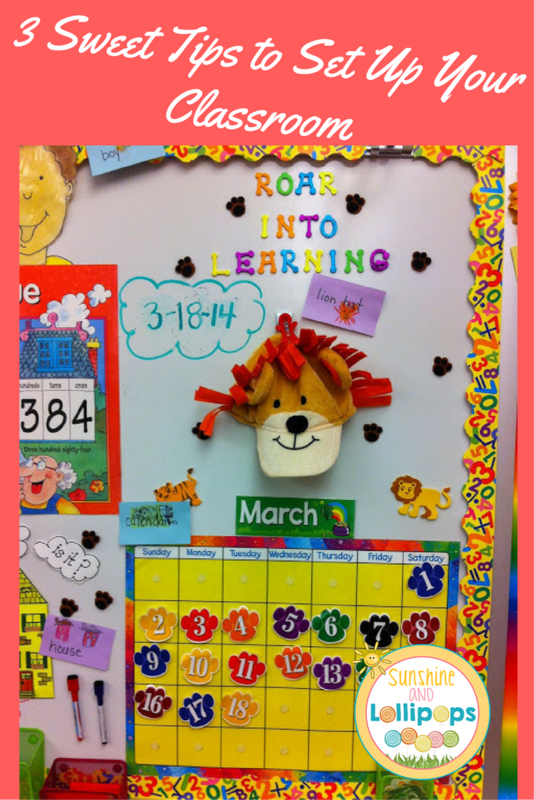 Do you want a bulletin board that shows your students' hopes and dreams for the school year? Do you want a board for calendar? Number of the Day, quote of the day, inspirational quotes, attendance, do you have to do lunch count, or word walls etc. List where you want these and how you want to do these procedures. You may have a district that dictates some of this so find out form your mentor....that is I am hoping you have a mentor, but it you do or don't you can join up with a few of us on this Facebook Group I have initiated called: Find Joy in the Journey a Sweet Place for New Teachers and Student Teachers to share and find continued support during the first 5-6 years of your teaching journey...and of course you can stay longer if you like!! 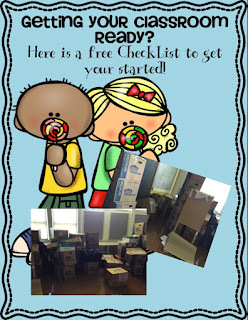 Now that you have a few ideas to get started, I have a free check list for these first 3 steps or tips too help you get started...if you have already started setting up....no worries...part 2 may be where you are and you can pick up from there!!! OOPS! I almost forget; Download this freebie to help you get started: Free checklist to help get your classroom ready! 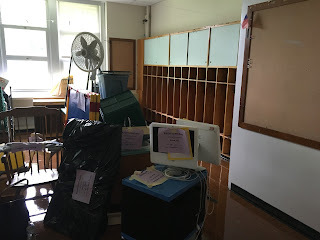 AND tune in next week for Sweet Tips to set up Your Classroom Part Two...we will show you what to do with more photos from Room 102 and a classroom REVEAL in our final post!!! Excited? I am!! I know...reveals are fun and this is exciting for my daughter and I because it is totally a new room, a bit older, not as crisp and new as her "old" room so it challenging in a way to see what we can do with it! Thank yo Stevie...let's see what we can do with it!!! #2 was definitely written for me! I don't know why I want to change things up from year to year. If the setup worked the previous year, it should again this year. I think I just like to keep things fresh. The post-it note idea is a great one! Good ideas but too late for us. We've completed inservice and have finished our first week with kids. I miss summer, already. I know that some are already back in school...we don't start until the Tuesday after Labor Day! I can't wait to check out next weeks post to see the classroom reveal! I am going to show a little at a time and THEN...the big reveal!! Thanks for stopping by! 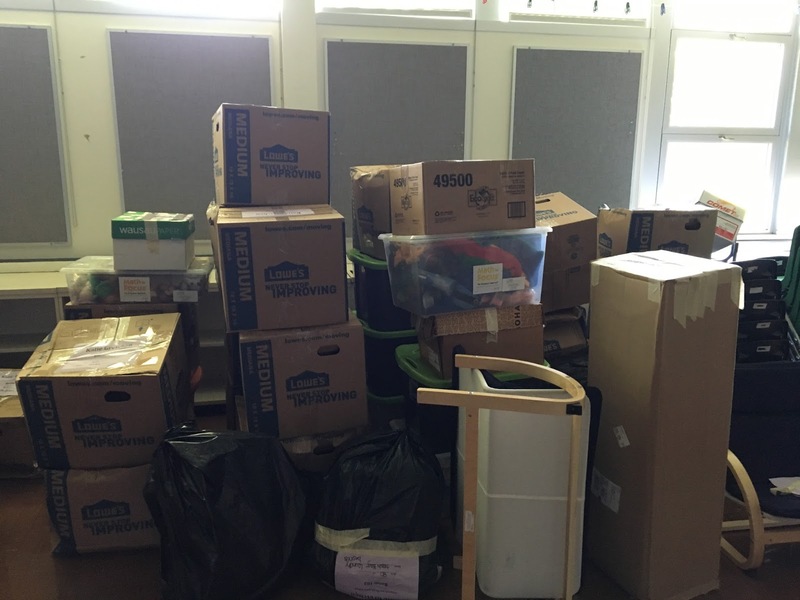 I am so excited to see how the classroom will look!! Thank you...it will be done in about 10 days are so...we don't start back until the Tuesday after Labor Day!